Nick and Kati Ladenburger farm in SW Nebraska with Nick’s dad and brother. They raise dryland corn and wheat along with having a cow/calf operation. Nick is a graduate of LEAD Class 26, is on the local Co-op board, currently serves as the Hitchcock County Farm Bureau Board President, is an active member of the Knights of Columbus, and recently was voted on to the Dundy County Stratton School Board. He has always known that agriculture is what he wanted to do with life and is grateful to be living that dream. Kati grew up on her family’s cattle ranch in Wyoming, but moved to Nebraska when she and Nick got engaged. She enjoys helping around the farm, but mainly spends her time raising their 5 kids – Haley (11), Scot (9), Molly (7), John (5), and Emery (4). She is also an active volunteer with 4-H and does her part in the community by serving on the local rural fire board. 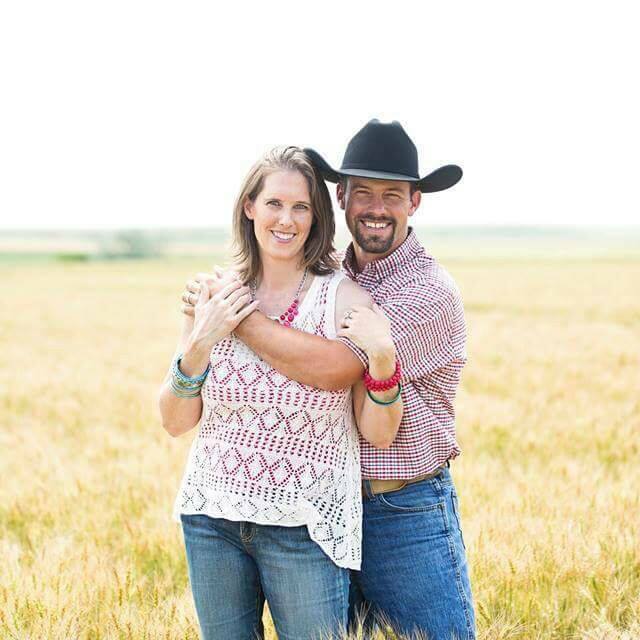 Nick and Kati are excited and honored to be co-chairs for the 2019 Cattlemen’s Ball and look forward to the experience!